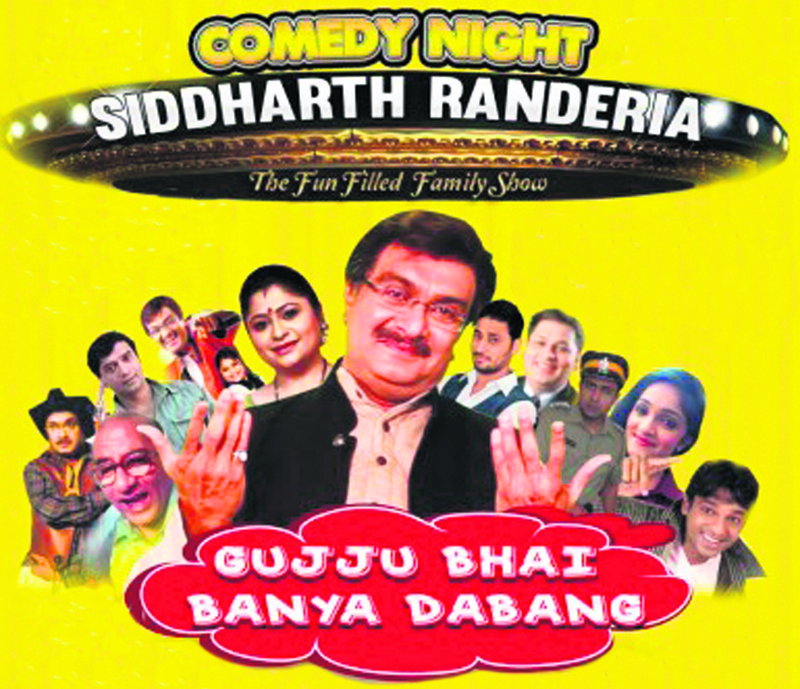 After successfully entertaining the audience in the USA and India, Siddharth Randeria will be presenting his play, “Gujju Bhai Banya Dabang” in the UK. This play is an adaptation of an original Marathi play by Sachin Mote. Siddharth Randeria is a well known theatre artist and he is starring, as well as directing this hilarious Gujarati play, which aims to entertain you, as well as your family and your friends. He has been associated with over 80 theatre productions and is the only actor to have completed over 20,000 live performances on Gujarati stage. Randeria is considered as the most successful Gujarati Thespian with a career spanning 38 years and his most successful theatre production, “Lage Raho Gujjubhai”, crossed 800 performances in a span of 3 years. The play is about Jadgish Pandya (portrayed by Randeria) who is constantly nagged by his wife and son, who keep telling him that he has not achieved anything in life. Pandya takes the nagging and complaints in his stride and replies back to them calmly, saying that he is waiting for the right opportunity. In a twist of fate, an abhorrent gangster is murdered in the Pandya's resident and this is when the comedy is set in motion. Saturday 18th July, Fairfield Hall, Croydon. Sunday 19th July, Athena Conference Centre, Leicester. Thursday 23rd July, Sattavis Patidar Centre, Wembley. Friday 24th July, The REP, Birmingham. Saturday 25th July, White House Venue, East Ham. Sunday 26th July, Harrow Leisure Centre, Harrow.